You know you want one because, well, why not? Anyone up for some live music? This perspective from Hoisington Investment Management sees slower growth in 2018. The consumer savings rate dropped to a 10-year low of 2.9% in November 2017, from 5.9% in October 2015. This expansion of consumer credit accounts for much of the economic growth in 2017 and will not be sustained. In short, these results align with Ricardo’s theory; although individual winners and losers may arise, a debt-financed tax cut will provide no net aggregate benefit to the macro-economy. The brunt of recent tightenings by the Federal Reserve will finally start to be felt in 2018. The yield curve will flatten. The flatter yield curve will further tighten monetary conditions. This monetary environment coupled with a heavily indebted economy, a low-saving consumer and well-known existing conditions of poor demographics suggest 2018 will bring economic disappointments. Inflation will subside along with growth, causing lower long-term Treasury yields. ‘Rather than see Trump as a product of a rotten power structure, as Greenwald does, and the 2016 election as a wild reaction against that power structure, as Greenwald also does, it was easier for most American liberals to frame his victory as an accident. And rather than look within to eradicate the conditions that wrought Trump, it was more comforting to pin his rise on an external foe. With Turkey’s Rush to War Against Syrian Kurds, What Is the Endgame in Afrin? The YPG has been the primary ally of the United States in its mission to smash the so-called Islamic State. That mission is now mostly complete, and Secretary of State Rex Tillerson has said the United States will shift gears to focus on stabilizing former Islamic State areas now under YPG control, including by training Kurdish security forces. Turkish President Recep Tayyip Erdogan didn’t take kindly to this news, accusing the U.S. of building a PKK “terror army” on Turkey’s southern border. America’s strategic recommitment to the Kurds seems to have been one reason for the sudden rush to war. Posted bygregorytucker 2018-01-27 Posted inUncategorizedLeave a comment on With Turkey’s Rush to War Against Syrian Kurds, What Is the Endgame in Afrin? Today, South Korea recognizes that stabilizing, rebuilding and integrating North Korea will take a massive effort, but it also believes that it will be relatively peaceful. History has made Koreans leery of external intervention, but Seoul assumes most North Koreans will see South Koreans as fellow countrymen and therefore accept—even welcome—unification engineered by their southern brethren and immediately embrace democracy, the rule of law and the free market system. While this would be optimal, unification may not be that easy. There is much to suggest that the removal of the Kim regime, whether by internal or international conflict, would be followed by armed resistance. The steady diet of xenophobic propaganda that North Koreans have been fed for 70 years may make them see South Koreans, whose culture has evolved in a different direction, as foreigners who happen to look like them and speak the same language. The lack of access to information has left North Koreans ill-prepared to distinguish truth from propaganda; if the regime were to collapse, they could be vulnerable to calls for resistance by regime remnants or other forces opposed to the reunification of Korea. In Iraq, the United States underestimated the impact of decades of brutal repression and propaganda by Saddam Hussein, whose toppled regime was still able to rally loyalists and insurgents to take up arms after his removal. South Koreans may do the same in North Korea. Real historians don’t embark in counterfactual speculations. Political pundits, armchair historians, and fiction writers frequently speculate on what would have happened if some historical event had turned out differently, but skeptics should be leery of the analysis. In the specific instance of George Friedman’s speculations on the Battle of Midway, he makes several inferences that are worthy of scrutiny. He is correct that Japan’s rapid advances throughout the Pacific drastically changed the calculus of early war efforts. The threats to the South Pacific raised Japan’s profile significantly and endangered the “Germany First” doctrine in place prior to hostilities. Sensing the panic, FDR personally assured Australia’s PM that the US would send at least one division, perhaps more, to ensure Australia’s security. The US also beefed up defenses along the communication lines, including Fijis, New Caledonia, and Samoa. Seen from the outside, Japan’s Imperial Navy seemed invincible, but internally they struggled under several years of war in China and six months of all-out global war that spanned the largest war theater to date: from the Indian Ocean in the west to the Hawaiian Islands in the east, from Aleutian islands in the north to Australia’s northern coasts in the south. Hatches failed to close, broken facilities awaited repair. The carrier strike force was badly in need of port time. The Imperial Army, for its part, bristled at the invasion of Australian mainland, understanding fully the manpower and logistical difficulties this would entail and suspecting their rivals in the Imperial Navy wouldn’t be up to the task. Moreover, Tokyo also opposed Yamamoto’s plan to draw the US into a massed battle around Midway, and for good reasons. The plan completely inverted the formula that had been successful to date. Successful operations throughout the Pacific, including Malaysia and Singapore, Guam, and Indonesia, advanced under the protection of Army air units. With each success the construction of new air strips expanded the circle of protection. What the Navy proposed would require the carrier strike force to provide sustained and coordinated air support to troops landing on beaches, something it was particularly ill-suited to doing. The carrier strike force was precisely that — a strike force. It was a lethal and effective weapon that destroyed enemy naval forces with devastating and brutal efficiency. Carrier hangars were too tight and constrained to launch more than a three or for strikes before retiring to port to resupply and replace damaged aircraft and downed pilots. The logistics of Operation Midway stretched the Imperial Navy’s capabilities — the military operations alone consumed nearly a quarter of Japan’s strategic fuel reserves. Tokyo estimated 60 transports per month would be required to support the islands if they could be taken, spending half their time empty on the return trip. Civilian transports would be harassed by American subs. The islands were within range of US strategic bombers from O’ahu; Japan’s smaller bombers, however, could not counter. Any detached analysis would show that attacking Midway was lunacy, and by all rights Yamamoto’s plan should have been dead on arrival, were it not another piece of lunacy. On April 18, 1942 sixteen B-25B Mitchell medium range bombers (normally land-based) launched from the USS Hornet to sprinkle a smattering of bombs around Tokyo and other locations on Honshu island. Though militarily insignificant, the Doolittle Raid solidified support for the only detailed plan then being advocated by any of the services that would strike back directly at the Americans. Precisely because of these considerations Nimitz wasn’t concerned about losing Midway, but his confidence in his intelligence led him to believe that he could conduct a surprise counterattack that would catch the Imperial Navy off guard. The Navy’s achievements in the Coral Sea also led him to be believe that his own naval dive bombers were a match for Japan’s. Nimitz also assessed his disposition of forces better than subsequent historians, who repeatedly described Nimitz’s capabilities as crippled and desperately outnumbered. Nagumo brought 20 warships and four carriers with 248 aircraft. Nimitz brought 25 warships, three carriers, and 233 carrier aircraft. In addition the Army rounded up another 120-odd aircraft on Midway, plus a significant number of AA guns in direct defense of the island. Arguably it was Nagumo who was outnumbered, having lost his decisive edge in Carrier Division 5 due to complications in the Coral Sea and the subsequent repair and refitting of the carriers. Nimitz knew the quality of pilots he was up against, and the nature and importance of the battle. The Midway islands were not existentially important to him then (as they are not existentially important to us today). It is unlikely he would have sacrificed the carriers casually once their presence had been revealed. The surviving carriers would have retired west to the protection of the forces on O’ahu, already considerably strengthened after the Pearl Harbor attacks, and plotted how to fight another day. Even if you assumed a complete naval victory for Japan, Freidman makes an erroneous assumption that victory of the islands would have been assured. This is far from the truth. The Marine Corps had placed 3,000 and 4,000 troops on both islands, buried communication cable throughout, fortified both islands with anti-air and anti-ship cannons, and hid tanks inside a grove of trees. Japan’s landing forces of 800 and 1,000 lacked nearly everything: marine landing craft, coordinated air or naval cover, and any kind of doctrine for marine landings. This lack of capability showed up several times throughout the war. The carrier strike force was just that — a strike force, and couldn’t sustain the kind of bombardment and cover required in a major marine landing. The reality is 1,800 Japanese navy and army troops would have been slaughtered by American machine gun fire during a brutal 150-200 meter march over submerged reefs and sandy beaches without cover. Friedman also speculates on Japanese incursions against the Soviet Union, drawing the Soviet Union out of battle with Germany. No such operation was even conceived by the Imperial Army, because of the logistical challenges inherent in it. Whereas Japan wasn’t seriously considering either major operations against either the Soviet Union or all out invasion of Australia, Friedman speculates Japan could have achieved both simultaneously. To assume that Japan successfully invades Midway, you have to assume that Nimitz lacked the intelligence to launch a surprise counterattack. At this point Japan might have been able to overwhelm a smaller contingent of US Marines normally stationed on the atoll. Nimitz could simply have waited for the carrier strike force to retreat, which it inevitably must have done within days or weeks, at which point he could bring long-range bombers from O’ahu and carrier-based forces to bear against the small contingent of forces that Japan left in place. Assuming he calculated it was worth bothering to do so. Despite the great interest given to Wake Island during its 15 day siege in the opening salvos of battle, the US never retook it. Cut off from supply lines, the Japanese garrison withered on their own, and similar fate may have awaited a Midway garrison. The remaining carriers in place in 1942 (three or four, depending on how you play out your counter-factual analysis) possessed a variety of potential targets for continuation of hit and run operations they had undertaken prior to the battle. What the Battle of Midway bought the US was operational tempo and strategic flexibility. The US could launch a major operation in Guadalcanal and force Japan to counter, instead of waiting to counter Japanese moves. 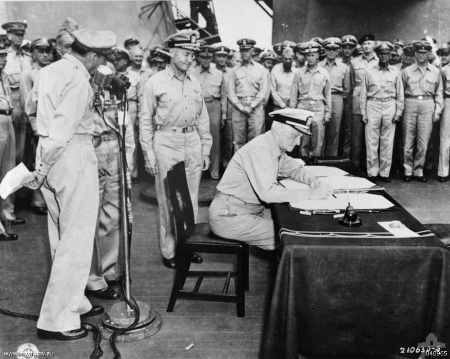 This ultimately shortened the war by one to two years, but didn’t fundamentally alter the basic constraints that Japan faced or the advantages that the US possessed for fighting a long, total global war.